Gender issues have become an increasingly prominent concern of academics and policy–makers. Although the death of feminism has often been pronounced, feminist ideas still permeate modern thinking. But what exactly do we mean by gender? How can we best understand gender differences? How are current gender relations changing? Are we facing a crisis of masculinity? Is social life being feminized? What would it be like to live in a society in which differences of gender were transcended? In this lively and accessible book Harriet Bradley provides an introduction to the concept of gender and the different theoretical approaches which have developed within gender studies. Using life narratives, she explores contemporary relations of masculinity and femininity and investigates processes of gendering in three important spheres of contemporary social life: production, reproduction and consumption. The book highlights the centrality of gender in everyday life and shows how thinking about gender is influenced by changing political contexts, considering the options for a transformative politics of gender. This book will be of interest to students across the social sciences, as well as anyone interested in contemporary relations between women and men. Chapter One. What s in a Name? "Bradley provides us with a fresh and very lucid account by drawing upon her own personal experiences, examining gender through the lenses of production, reproduction and consumption." "Bradley's clear and straightforward writing style, the inclusion of personal experiences and research findings allows the reader to reflect on the issues and ideas raised within this text without becoming entangled in complicated explanations of key concepts around gender ... Bradley's book provides both teachers and researchers with an excellent introduction to issues and debates around gender and provides an ideal base from which to begin to explore these issues further in the education field." "Bradley's discussions are theoretically rich, yet easy to follow for those less familiar with gender studies, as key concepts are italicized, clearly defined, and thoroughly discussed. The combination of empirical research and personal narratives throughout the book superbly illustrates both how gender is conceptually understood and how it is lived and experienced in the everyday world ... a rich, intelligible sociological introduction to gender." "This book is an introductory text and fulfils this purpose admirably. Bradley's writing is clear, cogent and engaging." "A very accessible book summarizing the main theories and issues on gender with both a historical and a contemporary outlook ... I particularly enjoyed reading it." "This book is an excellently written mixture of informative text and personal story, presenting gender as lived experience, that should be very appealing and accessible to students. Unlike most gender texts in the US, which mainly use a liberal gender mainstreaming framework, this book examines gender in the context of production, reproduction and consumption. This refreshing approach encourages me to recommend this text to like–minded colleagues in the US." "This is a remarkably insightful book, which demonstrates the continuing salience and complexity of gender to contemporary societies. 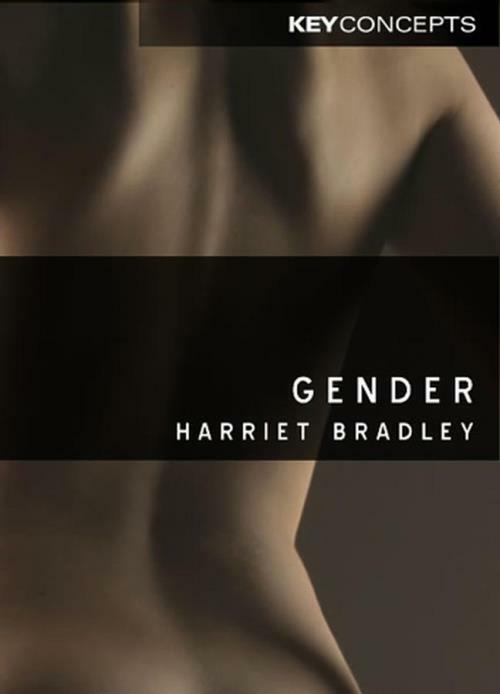 Harriet Bradley s style is fresh, lucid and concise, bringing to life key gender processes of our time as well as discussing the variety of theories attempting to account for them. She strikes a happy balance between critical exposition and her own original thinking. Grounded in empirical studies from across the globe and always conscious of the complex interrelations between gender and other social processes, this volume will be invaluable for students and specialists alike." "Harriet Bradley s Gender is a wide–ranging and impressive survey of 30 years of feminist theorizing. Interleaved with gripping reflections on an individual's gendered life, this book will be an invaluable resource for teaching about gender across the social sciences."